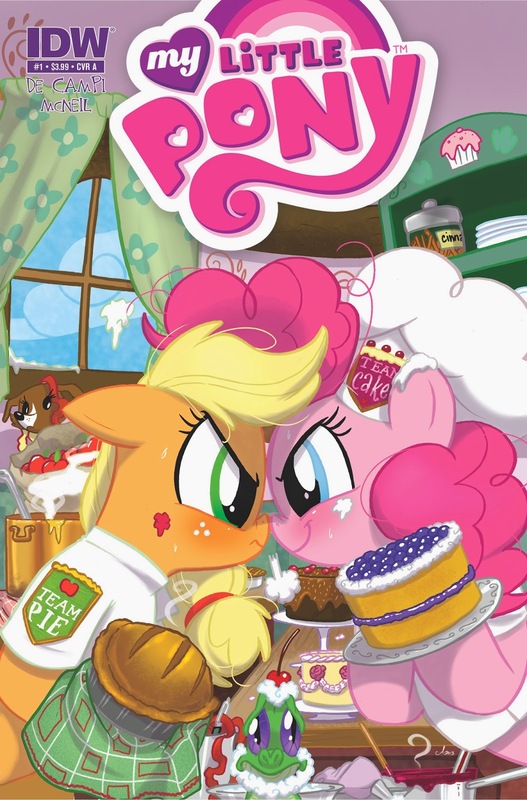 IDW just keeps expanding their own little corner of the My Little Pony: Friendship is Magic universe — and fandom. Now in January we have a new on-going series, My Little Pony: Friends Forever. “This collection, based on the animated hit series, My Little Pony: Friendship is Magic, airing on the Hub Network, will be made up of one-shot stories that focus on different pairs of ponies getting into various hijinx and will feature a mix of new creators as well as old favorites.” Sorry folks, no “shipping” allowed! Find out more at IDW’s web site. 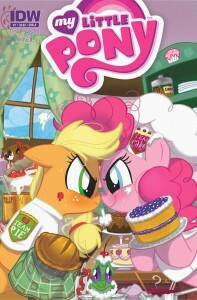 The first full-color issue of My Little Pony: Friends Forever (featuring none other than Applejack and Pinkie Pie) is written by Alex De Campi and illustrated by Carla Speed McNeil (Finder) with a cover by Amy Mebberson.